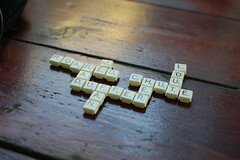 Scrabble for iPad, iPhone, and iPod Touch Review! My review of Scrabble for the iPad. Skip to the last 2 or 3 mins if you want to see how fun it is to link up a couple iPhones to the iPad and play “Party Mode” Scrabble. DEF worth the for all the neat features you get with it. We all know there are numerous ways in which Microsoft Word can help us in the workplace, but there are also many ways in which Word can help you manage your home life. However much you try and avoid it there are times when a phonecall or e-mail is not enough and you are required to put a complaint or query in writing. In such circumstances a handwritten letter just does not create the right impression. There are many letter templates available in Word which can be used as a basis when writing this type of formal letter. Storing your letters electronically also gives you the advantage of being able to keep a record of exactly what was sent without having to laboriously copy everything out or take it to be photocopied. When you go away on holiday you may well have a friend or neighbour on call to keep an eye on the house in your absence. Often the note you leave them, giving them important imformation and instructions, is little more than an illegible scrawl produced at the last minute as you walk out the door. Microsoft Word can be used to draw up an instruction list containing, for example, the locations of each houseplant and how often they should be watered, and when and what to feed your various pets. A schedule of contact details can also be included providing information of how you can be contacted together with how to get in touch with other services, for example the vet, which may be required. This can be stored on your computer and so easily amended as details change. Also, if you have more than one housesitter, it can be easily copied. Microsoft Word can also help you with the more fun elements of your life. For example, you can use it to create eyecatching invitations for dinner or birthday parties. With facilities available to scan in photographs and drawings and a vast array of formatting options and font styles to hand it is easy to make your invitations truly unique. For those really big events where people may be travelling from further afield, you can add maps and lists and contact details for accommodation in the area. There are some people you only get round to contacting at Christmas, by which time you have a whole year’s news to try and fit into one small Christmas card. Microsoft Word is a handy tool which enables you to produce a newsletter which can be put in with the cards. Word has the facilities available to allow you to easily add photographs or even scanned in drawings or documents that your children have created. You can produce a base document as a template and then add personalised messages before printing each one out. The above are just a few examples of the many ways in which Microsoft Word can enhance your home life, improving the way you communicate with others and helping you stay in touch with family and friends. Author is a trainer with a Microsoft Office training company, the UK industry leader in its sector. For more information on Microsoft Word training, visit http://www.MicrosoftTraining.net. How do you get the app Words With Friends to work?!? Question by Yupperz: How do you get the app Words With Friends to work?!? All it says is “updating” and “this may take a few minutes” please help! I hve about 5 games going. Delete the app then re-download but don’t open it. Then completely shut down your phone by pressing the lock button on top and slide to power off. Turn back on then trying opening wwf. 660 White Plains Road. 914-771-3340. Transportation: 914-337-0390. The Doings welcomes items for the Community Calendar. Items must be received a minimum of 10 days prior to publication. E-mail items to: doingsnews@pioneerlocal.com. Danny Gallagher/McKinney Courier-Gazette – Paul, left, and David Bettner in the 5,000 square foot studio of Newtoy, located in The Cotton Mill in McKinney. 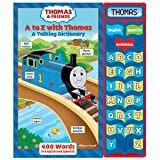 A to Z with THOMAS THE TANK ENGINE – A Talking Dictonary – FUN LEARNING – 400 WORDS TO LEARN IN ENGLISH & SPANISH! 400 Words in English and Spanish! Learn Spelling, Pronunciation, and Definitions. In Spanish too! Book measures: 11 inches x 12 3/4 inches – Sturdy Durable Cardboard Backing. LOTS OF LEARNING FUN!! Children can input one of 400 pre-school appropriate words (in English or Spanish) using the letters on the module, which are voiced as they are typed and appear on the LCD screen. She can then press ENGLISH to hear the word spoken in English, SPANISH to hear and see the word in both languages, or DEFINITION to hear the word and definition in English. Friends are forever… a thought and an expression to let someone know what’s in your heart. A heavy weight and comfortable Sterling Silver cuff bracelet that fits a standard woman’s wrist. 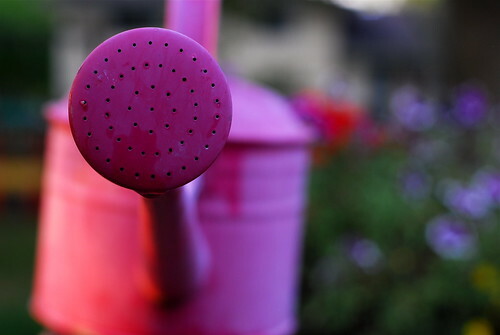 Our silver is refined with reclaimed silver …saving the earth’s natural resources. We are the manufacturer and every piece is custom made for you. FULL COLOR, FULLY ILLUSTRATED MINI BOARD BOOK BY SESAME STREET. SERIES OF 5, COLLECT THEM ALL! Ok, so Jeremy Toeman’s excellent post about 16 ways to make FriendFeed better from yesterday has inspired me to make a list of my own. I’m going to try to keep these as short as I can because, well, I’ve got to get back to FriendFeed to hang out some more. Some of these may overlap a bit with Jeremy’s. If you want to find me on FriendFeed you can find me here. 1. Develop profile pages. Yes, profile pages are already there on the various services that FriendFeed aggregates, but it would be nice to actually have a place on FriendFeed where people could enter their profile data about themselves, links to other social networks not yet covered by FriendFeed, etc. 2. Learn my preferences from my sites. Now this may be Flickr’s fault more than FriendFeed’s, but i find it super annoying that even though I have my Flickr settings set to show me all content (even content Flickr labels 18+) that my contact’s 18+ content is filtered out of my FriendFeed experience. Is this just more censorship BS extending from Flickr or is this FriendFeeds’s fault? I want to see Merkley’s naked people damnit. 3. 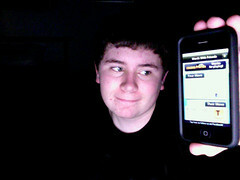 Develop a mobile version of the site. m.friendfeed on my iPhone would be awesome. As it is now it’s less than optimal on the iPhone and there are a few bugs (like the subscription’s box overlaps the text on the "me" tab). In the meantime Benjamin Golub is working on an interesting new mobile version. Louis Gray has a write up on it here. 4. Auto-reciprocation. Develop an option to allow me to auto-subscribe to everyone who subscribes to me. I like the noise. I can always filter it out after the fact using FriendFeed’s innovative "hide" feature. The bigger the net, the more great conversations and content I come across. 5. Smarten up the recommended list. Right now FriendFeed shows me a pretty static recommended list that does not page. In my opinion FriendFeed should develop an algorithm based on Friends of Friends. The more friends of my friends someone has the higher they should rank. This list should be dynamic and it should page so that I can indefinitely go surfing in there looking for new and interesting people to subscribe to. 6. Expand the stats functionality. Right now FriendFeed shows you the 10 people you find most interesting (based on your likes/comments) and the 10 people who find you most interesting (based on their likes/comments). I think FriendFeed should expand this list to show at least 100 of each. I think they should also have a section that show the top 100 for all time and the top 100 for this week. Having a "this week" option would allow you to better find new FriendFeeders to follow. Did I really just call them FriendFeeders? Yikes. 7. Rich text edit. This could be done by FriendFeed or by someone with greasemonkey. It would be great to be able to bold, italicize, and create links in FriendFeed entries and comments. 8. Auto replacement of imaginary friends. One of the nice things that FriendFeed has right now is the ability to create imaginary friends that you can follow for your friends who are not on FriendFeed yet. The problem is that when your imaginary friend joins FriendFeed you don’t know about it. If you do find them and subscribe, then it posts double entries, one for your newly added actual friend and one for their imaginary clone that you created. It would be nice if FriendFeed could simply auto-add any of your imaginary friends as actual friends when they join and then delete the old imaginary friend from your account. 9. Allow direct posting of mp3s on FriendFeed. Kind of like how Pownce does it. It would be great to share mp3s with friends. 10. Keyword filtering. Would love to be able to have anything with the words Obama or Mahalo filtered out of my FriendFeed experience. This way I could unhide Dave Winer’s and Jason Calacanis’ Twitters again. These two are super insightful but I sometimes get overwhelmed by things that I’m not interested in. Likewise I’d like to be able to filter in certain keywords even if I’m not subscribed to them. If something mentioned photography, Canon, Netflix, TiVo, etc. It would be nice to see that conversation even if I wasn’t subscribed to that person. 11. Track Flickr groups. I would love it if FriendFeed could inform me anytime one of my contacts started a group conversation thread on Flickr. You can’t do this on Flickr and it would be a *great* way to keep up on the conversations that your friends on Flickr are starting. 12. Direct messaging. It would be nice to have a new tab at the top of my FriendFeed page for direct messages. Right now you have a friend, me, and everyone tab. A fourth tab that allowed people to direct message each other would be nice there as well. 13. A super simple FAQ/guide for the newbie. FriendFeed can feel a little intimidating at first touch. Until you learn how things like "hide" and "filter by service" work, you can feel a little lost. A lot of talk about FriendFeed going mainstream gets bantered about but FriendFeed will have to have a super easy FAQ/guide to get people up to speed on the service. Michael Gartenberg recently joined the site but thinks it’s too complex for many users. 14. Find Friends by geographic region. I’d love it if FriendFeed could show me a list of everyone who is on the site from the San Francisco Bay Area. There’s a strong liklihood that I’d want to follow a lot of these people. 15. Show me the top imaginary friends on the site. If someone goes through the work to set up an imaginary friend, they really have to find value in following that person. These would possibly be some of the most interesting people to follow on FriendFeed. I’ve added about 100 of my favorite photographers on Flickr and Zooomr. I’m sure other people would benefit from also subscribing to them. It would be cool to see a list of recommended imaginary friends just like actual recommended users on the site. 16. Do my chores. Take out the garbage, wash my dishes, make my dinner, babysit my kids, mow my lawn, wash my dog, answer my phone, read and respond to my email, do my work out for me and take my wife out for expensive dinners. If FriendFeed could do all this, well, then I could spend a hell of a lot more time on FriendFeed. Just kidding about the take my wife out for expensive dinners part, of course, I can do that one myself. She’s on FriendFeed now too by the way. 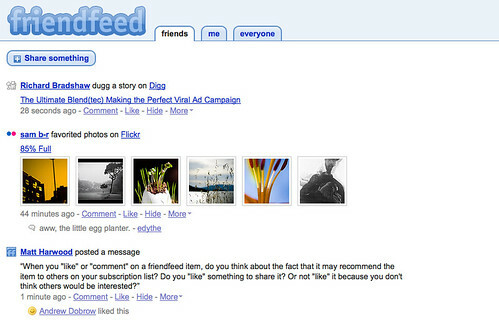 Related posts: 10 FriendFeeds Worth Following, Why FriendFeed Will and Won’t Hit the Mainstream. The day passed in Soft Silences. Yesterday came pretty close to being a perfect day. I went to visit a friend whom I don’t see nearly as often as I’d like. She made us a delicious picnic lunch, which we ate at a nearby Forest Preserve, followed by a lovely walk. That would have been enough, but we went back to her house and sat on the back porch in the sweet air, talking and having fun. And THAT would have been enough, but we decided to play a game of scrabble and sat in the dusk, drinking white wine and clicking our scrabble tiles. Ahhh. There certainly are a number of different ways that you can boost your website traffic without paying any money but one of the easiest ways to do so is through word-of-mouth advertising. Not only is this a free way to get traffic to your website, it is also one of the most effective. The reason why this is the case is because whenever somebody recommends your site to a friend, it is more likely that they are going to visit in order to see what they are talking about. After all, even if they are not interested in what the website is about, they may still visit so that they can tell their friends that they did so. Although most webmasters are familiar with the fact that word-of-mouth advertising is a great thing to have happen, very few of them take the time to make it easy to do. The fact of the matter is, if you leave it up to chance as to whether somebody will pass the news around about your page or not, you are simply leaving money on the table. The easiest way for you to make sure that your pages are being passed around and referred by others is by using a tell a friend script. These scripts are relatively easy to set up and they can produce like crazy if you have the correct type of content. One thing that you want to make sure about whenever it comes your website content is that you are providing information that people are going to want to pass around. Many times, this is a matter of setting up what is typically known as link bait pages. Link bait pages are usually written in one of two different ways. Either they create controversy, which people tend to love to pass around to others or they use comedy in order to draw attention to themselves. Another great way for you to get traffic at your website is by using greeting cards. By having an online greeting card section on your website along with using a tell a friend script, you would be surprised with the number of people that will come through your website on a regular basis. You have two basic choices when it comes to tell a friend scripts although there will be several different options that are available within each of these choices. You can either set up a script that it runs on your own server or you can use a remote script. I have personally used each of these and they both have their good points and bad points. As long as the script is easy to set up, it is usually a good idea to be able to control this yourself. That way, you will be able to use all of the options that are available in order to get the most out of this excellent way of pulling traffic to your website.